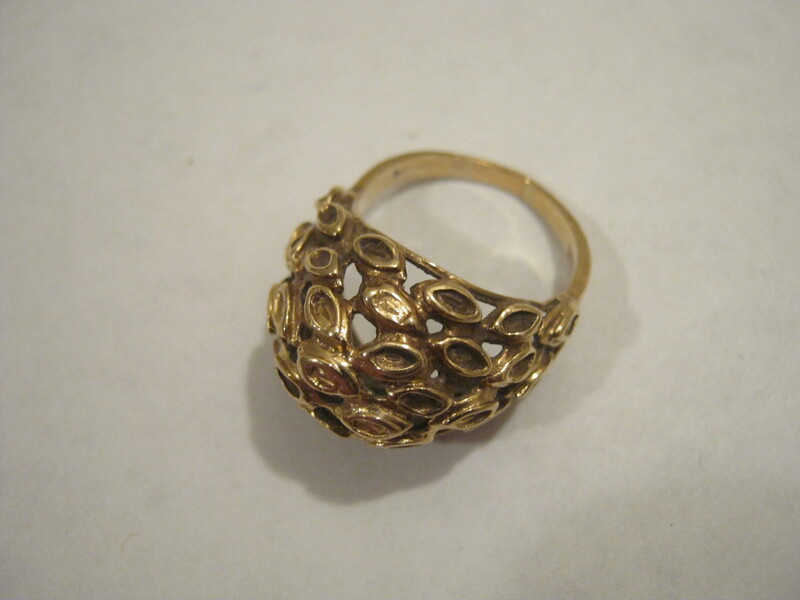 I decided yesterday to bike up to Rosemont to sell some scrap gold I found in the trash (including this ring (on the top), a small necklace from this post, and an earring I apparently never put on the blog). They had been in the change pocket of my wallet for a quite a while, so it was about time I got around to doing this. All together I made 45$. Garbage day in Rosemont is Monday and Thursday mornings. It was around 2 in the afternoon and I figured that the garbage would be long gone. 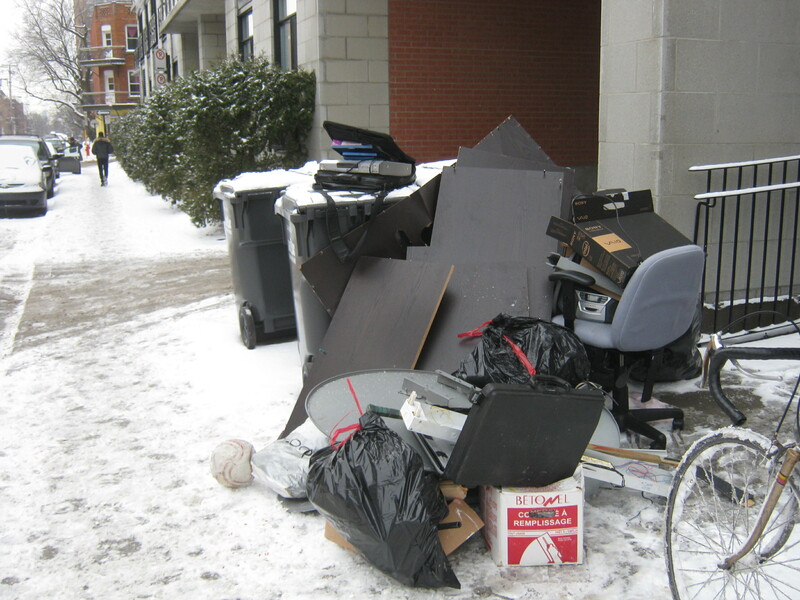 However, I quite accidentally came across a few streets that still hadn’t been collected. I decided to check them out. Good thing too. In the middle bin of the three furthest from the sidewalk, I found a bunch of jewelry, some of which was gold. There’s at least twice as much (in weight) as I had just sold. This flashy ring is marked as being 10k. There’s another mark that I can’t quite make out. 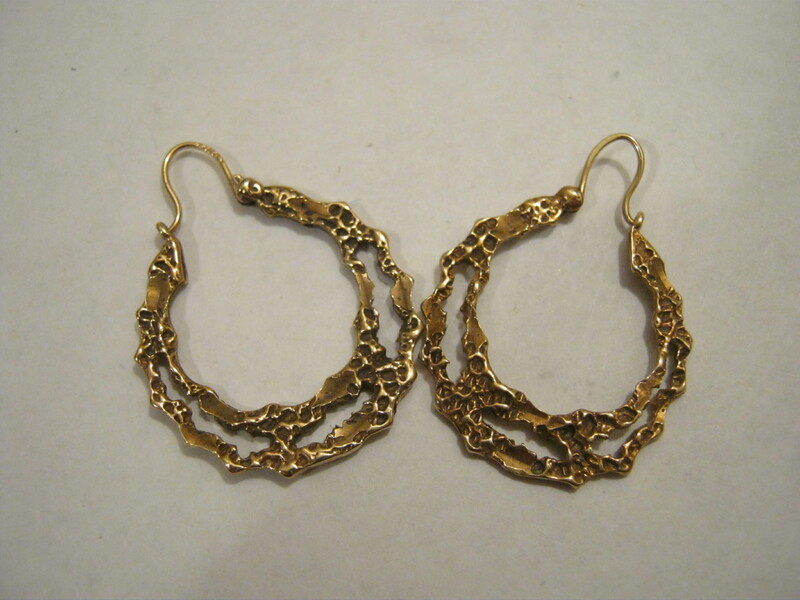 These cool earrings are also marked as 10k. This cross is marked 10k and “TI,” which probably means Titanium. 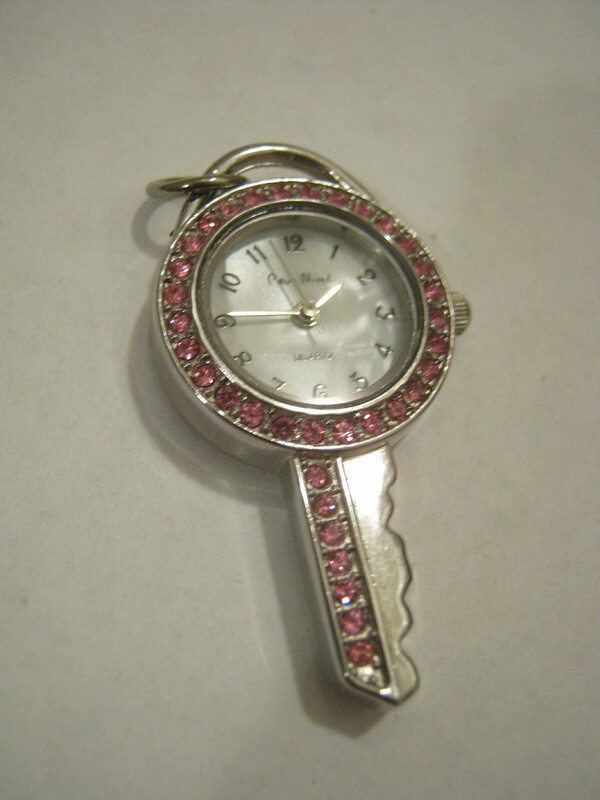 This is a watch pendant in the shape of a key by Pierre Nicol. It’s covered in pink jewels and looks sort of fancy. It’s a bit odd as I can’t find any other watches like this online. 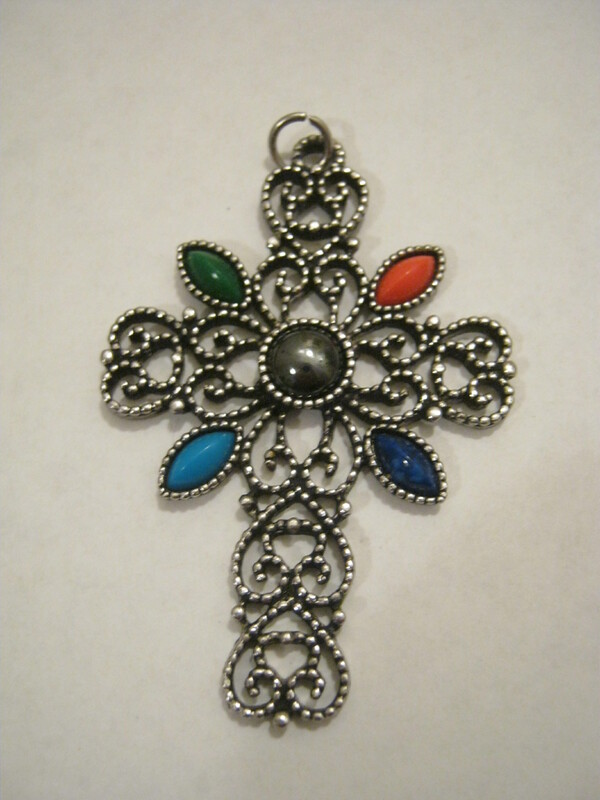 A vintage Avon cross. I saw someone online trying to sell it for close to 20$, so I’ll likely put it up for 15 or so on Etsy. 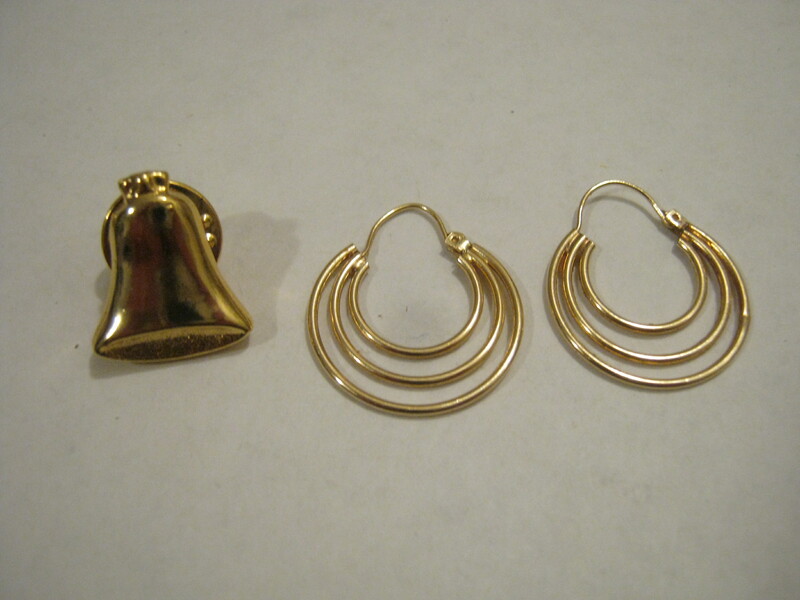 I’m not sure if these pieces are gold. They’re not marked, but not all gold is marked. I bit into them and it left a little mark, which is a good sign. 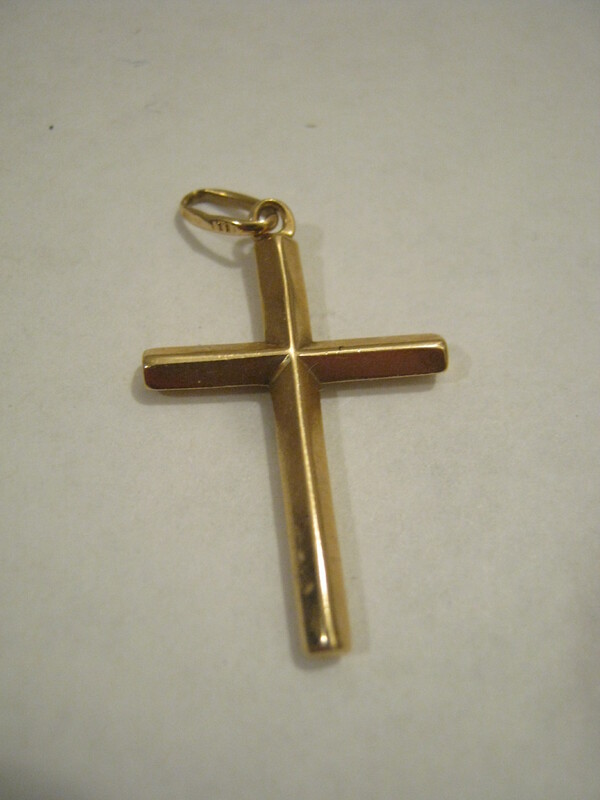 There’s also no wear of the gold hue, also a good sign. More jewelry. 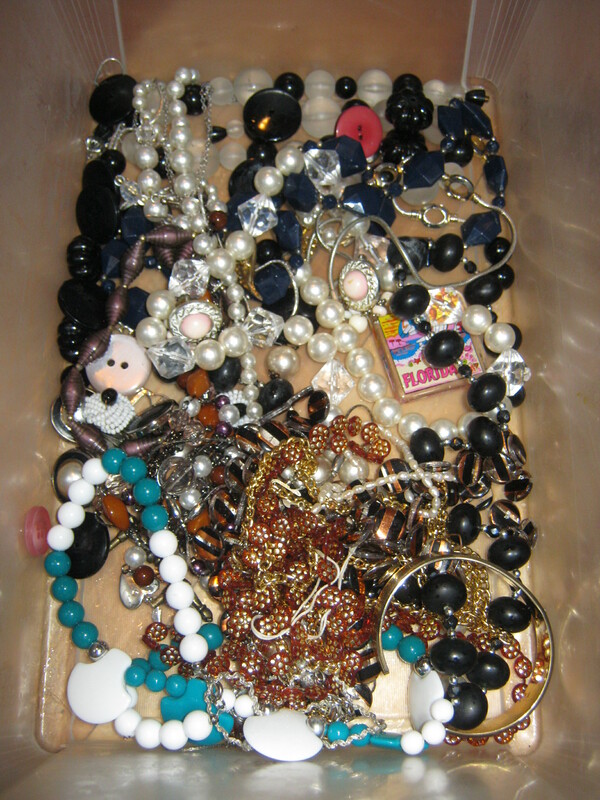 None of this is “precious,” but there’s still some decent stuff in here, including a good selection of beads. There’s more jewelry, but I’ll save that for another post! 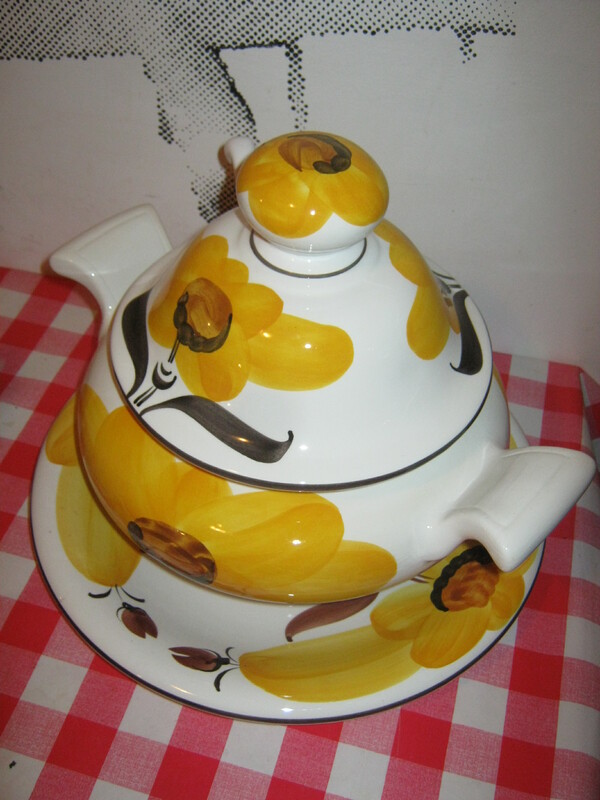 I also saved this soup toureen from one of the bins. There’s nothing wrong with it, not even a chip. It was made in Portugal. On the way home I came across these bins. It’s the same place where I found some cool old stuff (including some jewelry) in this (somewhat disjointed) post from last April. There was a lot of scrap metal – old electronics and a disassembled satellite dish. As I was leaving someone who drives around collecting scrap metal came and picked it up. I’m glad to see it didn’t go to waste. In this pile I saw this piece from an exhaust. 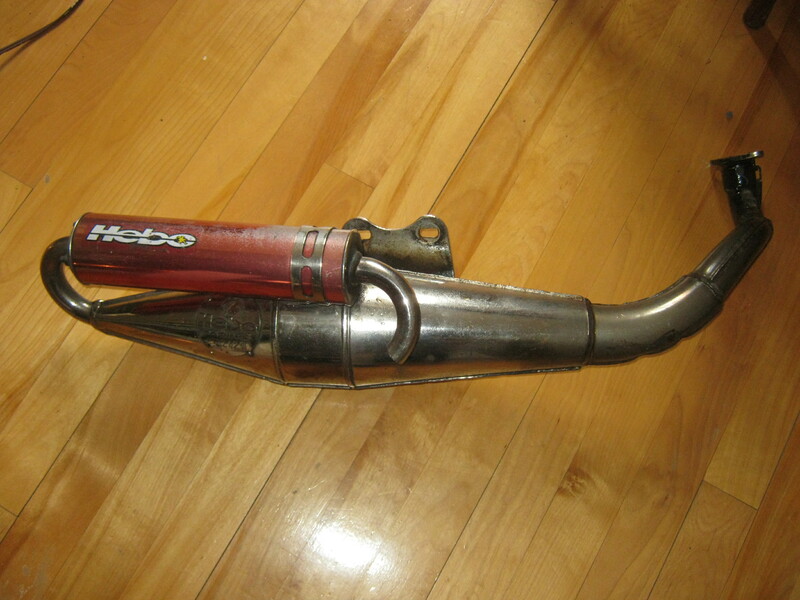 It has “Hebo Racing” marked on it. Some young guy walked by and told me it was for a scooter, which was later confirmed by Google. I didn’t really catch the rest, but I think he said that it was worth 50$ at least. Hopefully I’ll find some more stuff tonight. Either way, expect to see the rest of the jewelry tomorrow! Definitely interested in selling this stuff. I have to figure out what I want for this it, but feel free to email me at thingsifindinthegarbage@gmail.com and maybe we can work something out. That big ring is quite organic looking. Nice. I took a look at the Pierre Nicol website, but I couldn’t see any prices listed, so it’s hard to get a notion on how much your key-shaped pendant might be worth. Is it silver? I don’t think so, unless the marking are on in the inside (but I can’t seem to open the back). It looks like steel, though. This is awesome! 🙂 You’re bound to come across some very lucky finds once in a while, like this. Love this blog! 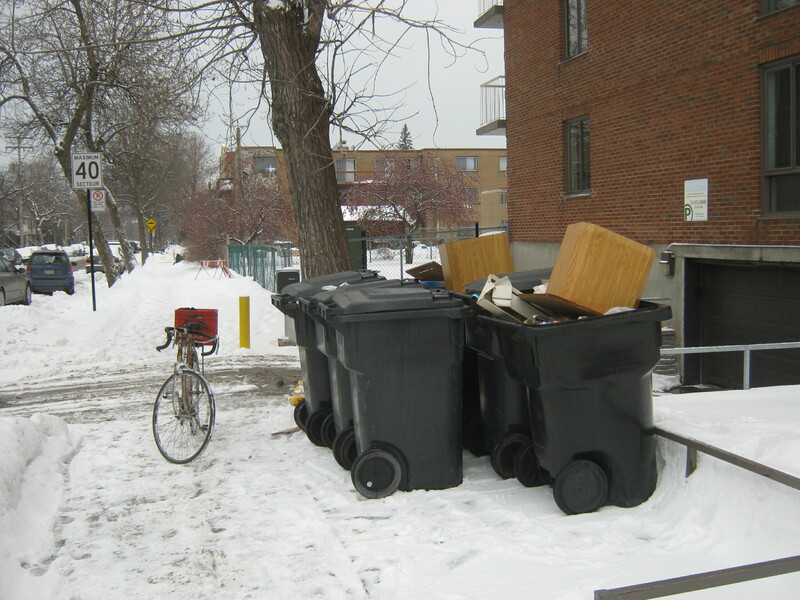 You are the man of gold;superb work you are doing.I hope more people follow in your footsteps.Rescue more valuable stuff from the trash every week.The weather is warming up now;please go north of Rosemont to St.Michel and also to francophone but middle-class Ahuntsic also for treasure-hunting. The key watch is cool. Very unique. Hi, Do you sell things you find? or you keep them for yourself? I sell or give away most of the things I find. Click the “Garbage Giveaways” and “Buy My Garbage” links below the title if you want to know more.